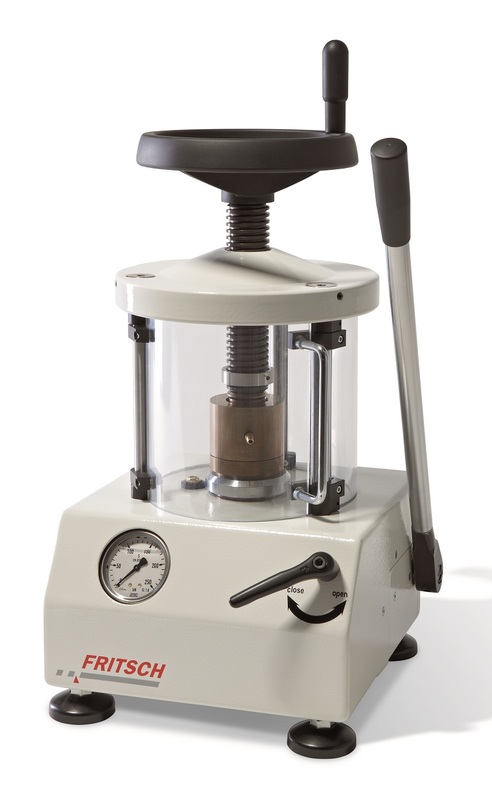 This manually-operated hydraulic Pellet Press is ideal for fast and easy preparation of both solid and highly permeable pellets of solid samples for X-ray fluorescence analysis or infrared spectroscopy. The pressure force is variable up to max. 250 kN (25 tons) and is automatically relieved in case of over stress. Different pressing tools are available for pellets with 40, 32, 15 or 12 mm. It’s as easy as this: fill in the sample, close the magnetically-held door and build-up the desired pressure using the hand lever – that’s it. If your pellets require binding agents for stabilization, please see our XRF Binders.